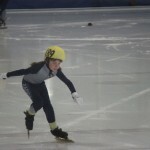 The schedule is up for the new marathon skating season. 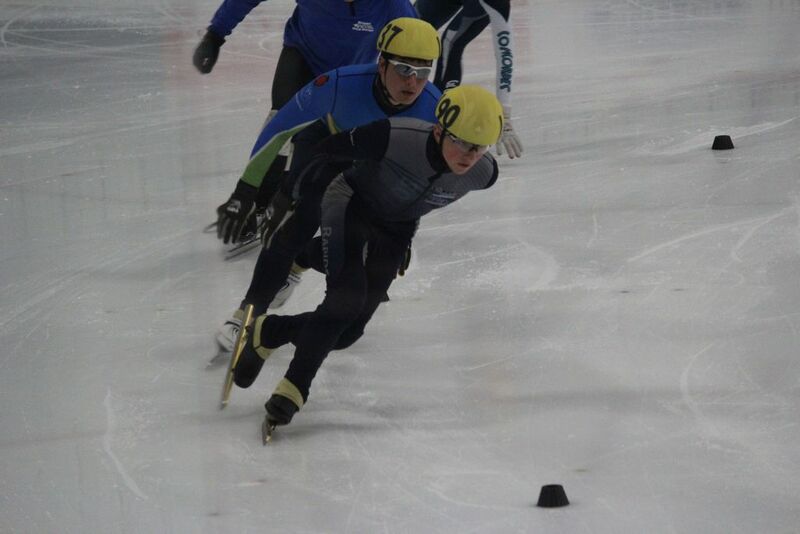 We start off as usual with the Quebec City marathon that takes place on November 10 and 11 on the beautiful Gaetan Bouchard olympic (refrigerated) oval in Ste.Foy PQ, a suburb of Quebec City. 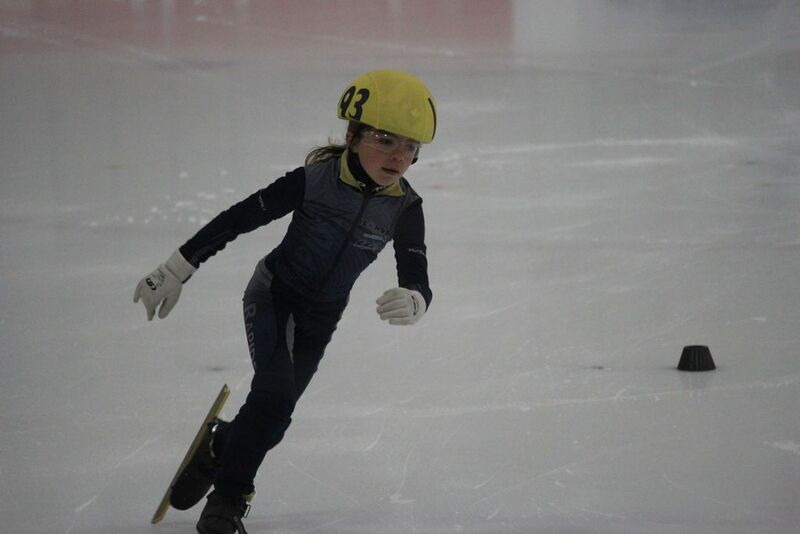 This event, which includes both 25km (Saturday November 10) and 40km (Sunday November 11) is always well attended by both elite and recreational marathon skaters and all are welcome to join in. 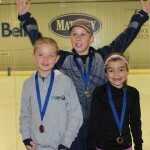 For further information, and a full listing of all of the marathon events this winter, visit the marathon skating website at marathonskating.org. 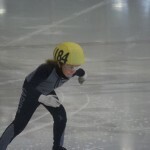 The second marathon event of the season will be at the Lake Placid Olympic (refrigerated) Oval (where Eric Heiden won all five speedskating medals in the 1980 Winter Olympics). 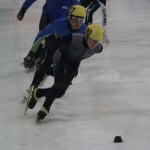 This event is always well attended by a large variety of skating levels including beginners. 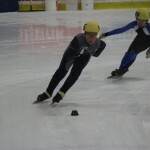 In addition to myself, I believe that two other of our masters skaters are going to give it a try this year. 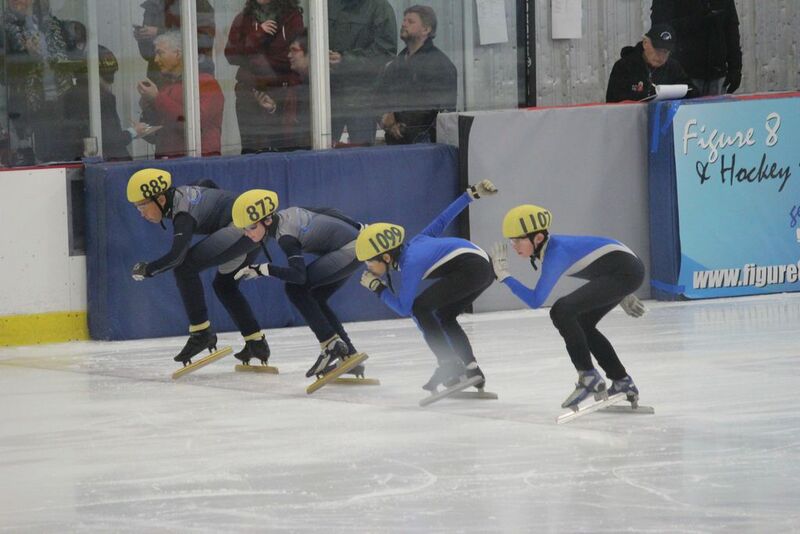 The Lake Placid meet will be held on the weekend of Dec. 7, 8 and 9. 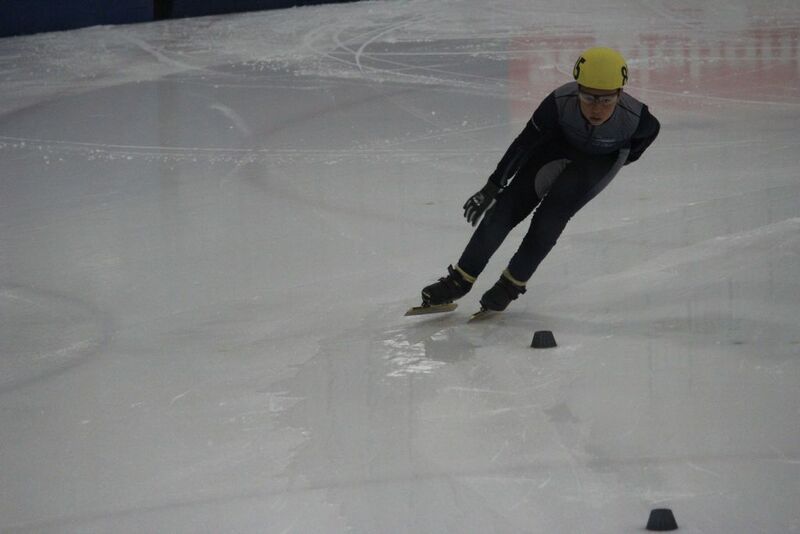 Currently the schedule indicates a Friday evening 10km event followed by 25km and 40km on the Saturday and Sunday. 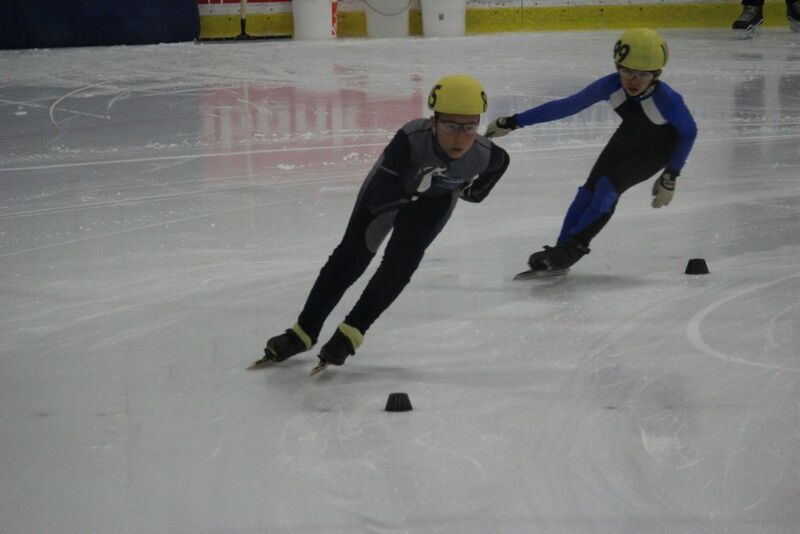 For this event I share accommodation with a group of Ottawa Pacers skaters who rent a B and B for the weekend. This is the best deal in Lake Placid and if you are interested in attending this event let me know regarding accommodation. 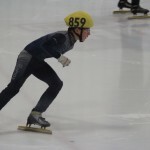 These two events will be followed by natural ice marathons in the new year, including Ottawa (Brewers Park), Portland, Vermont (Lake Champlain) and two separate venues in Alberta. 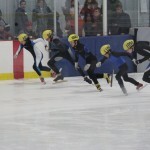 Kingston Striders are hosting their annual Ladder Meet on Saturday, November 10th. 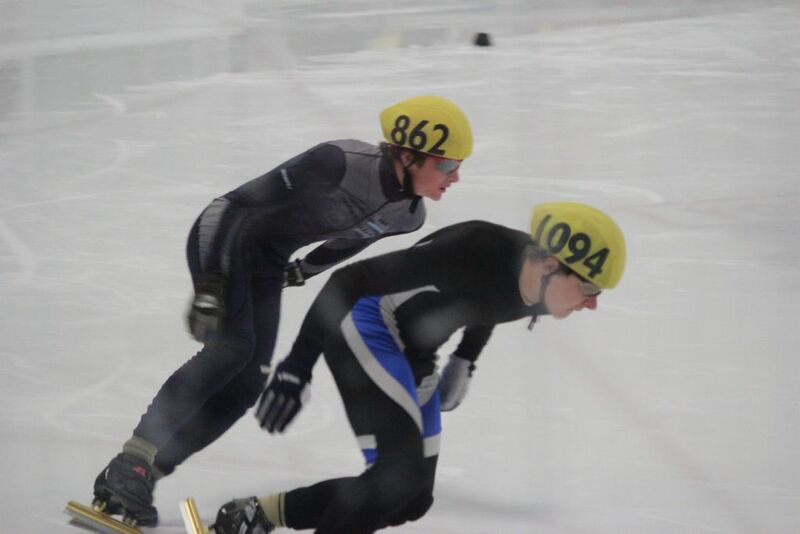 This meet will be run on the 100m track only and skaters can choose to compete the 200m or 400m distance. 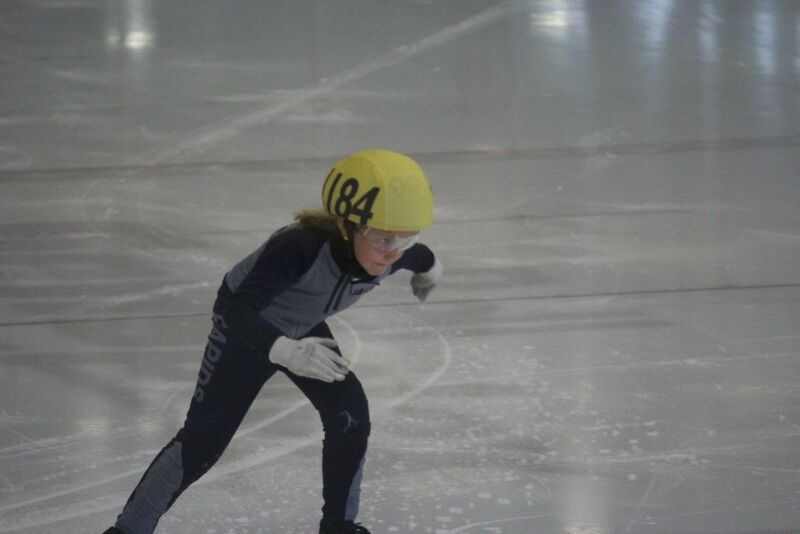 This meet is open to all skaters except provincial level competitors who race on the 111m track (ie/ 15 yrs of age and older). 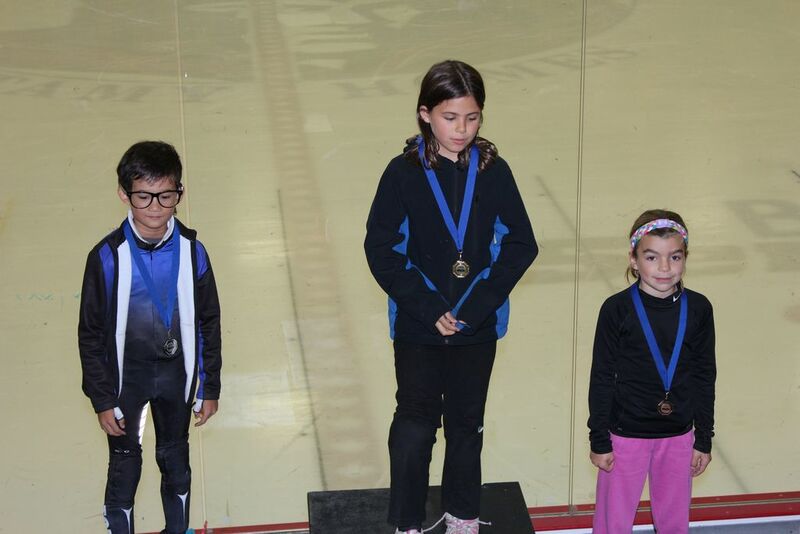 Please hand in your entry form no later than Tuesday, Oct 30th practice as the deadline for club entries in Wed, Oct 31st 1pm. 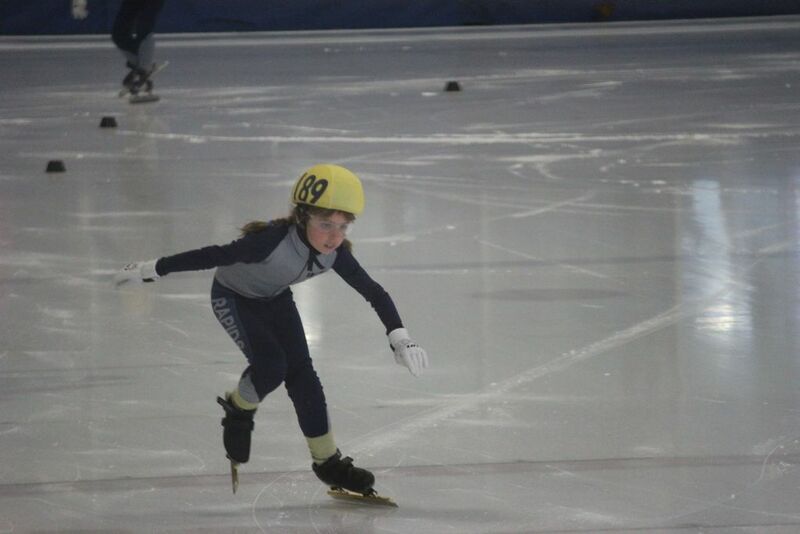 Cost is $50/skater. 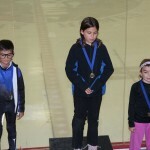 Please make cheques out to SLSSC. 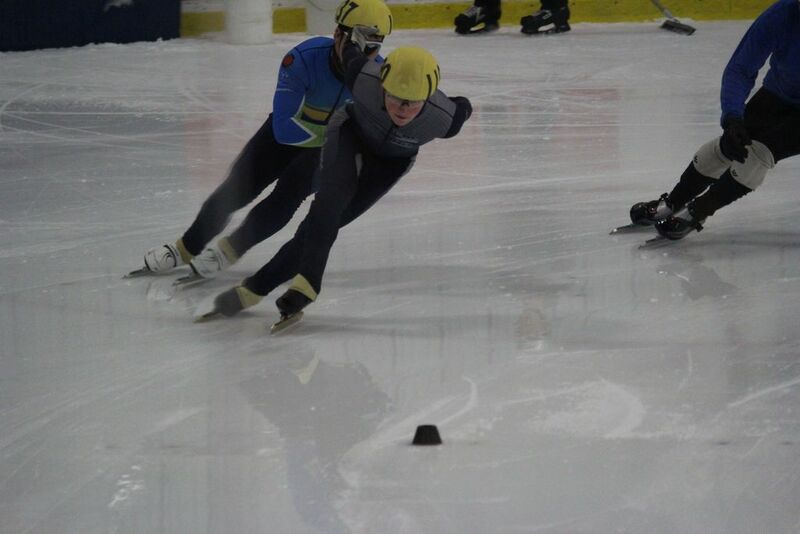 St Lawrence Rapids speed skaters had a very successful 1st meet of the season. 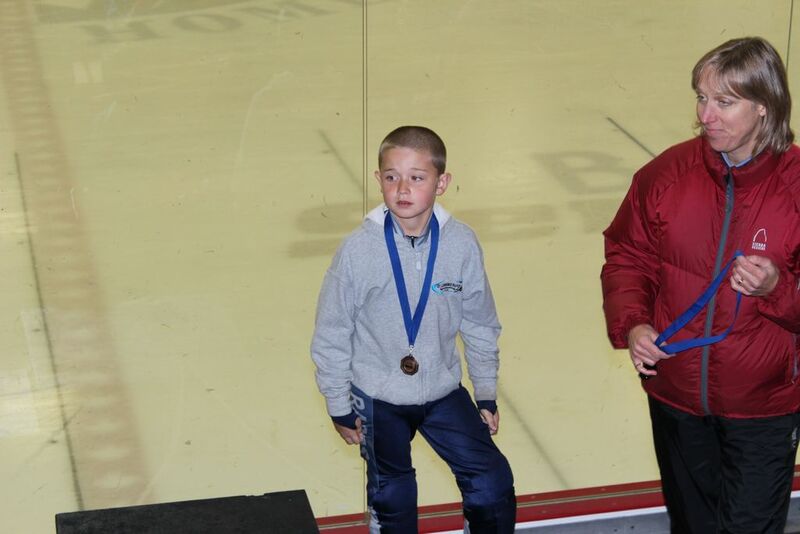 13 skaters participated in the meet and St Lawrence came home with 3 medals. 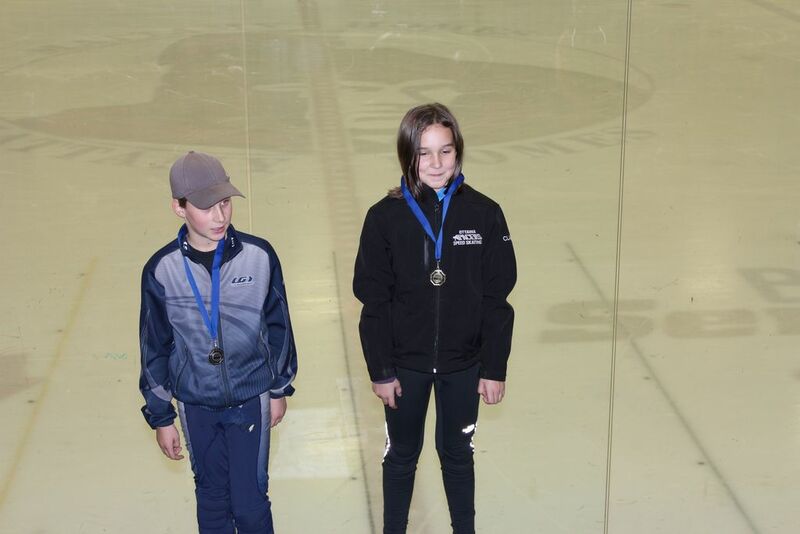 Nolan Roney received a a silver medal in the juliet division, Cameron Mackay received Bronze in the Kilo Division and Paige Besner a bronze in the Lima Division. 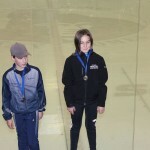 Other results were as follows: Bravo Division Tristan Brunet was 6th, Charlie Division Nathan Heuval was 7th, Delta Division Connor Taugher was 13th, Golf Division Lukas Heuval was 9th and Emma Grace Wheeler 11th; Hotel Division Aidan VanBeek was 5th and Malcolm Spence was 11th, Lima Division saw Anella Roney 8th, Julia Wheeler 9th and Ethan Mackay 11th. 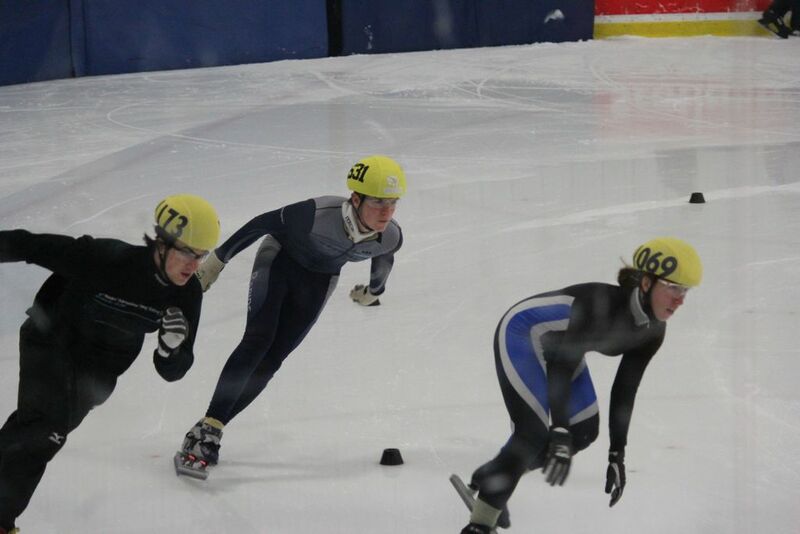 Many Personal Bests were achieved over the weekend. 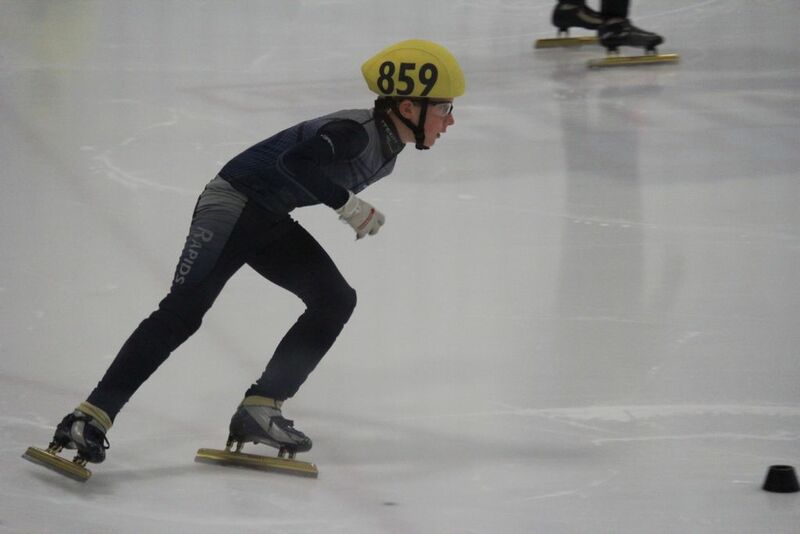 St Lawrence skaters are gearing up for the first provincial meet November 3/4 in Cambridge and also another regional meet November 3 in Gloucester. Here is the meet protocol as a pdf file. 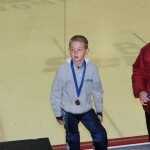 Pictures from the meet and from the awards ceremony were previously posted. 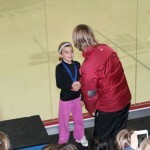 New personal bests were achieved by every skater – congratulations! 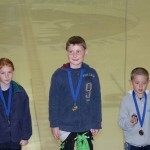 The Personal Bests page has been updated. 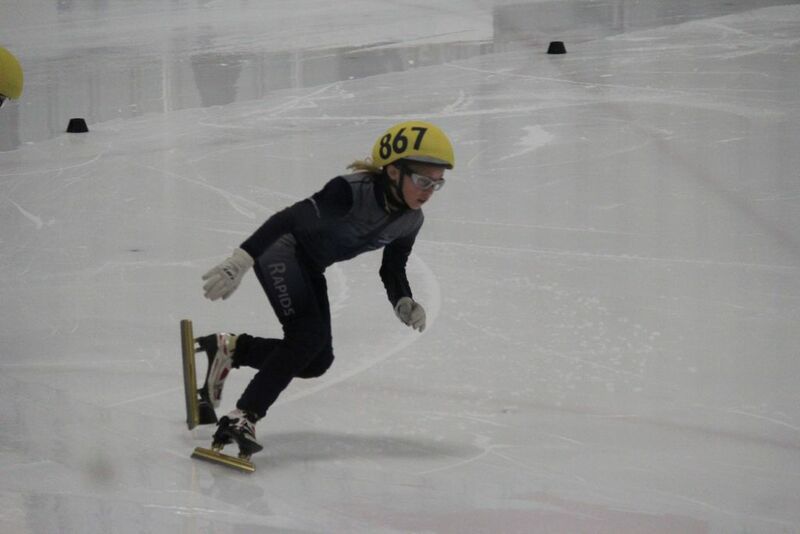 The Gloucester Concordes are holding a Regional Series Meet on November 3rd. 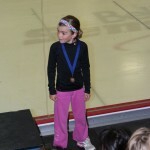 Most of our skaters qualify for this meet, including the new ones! 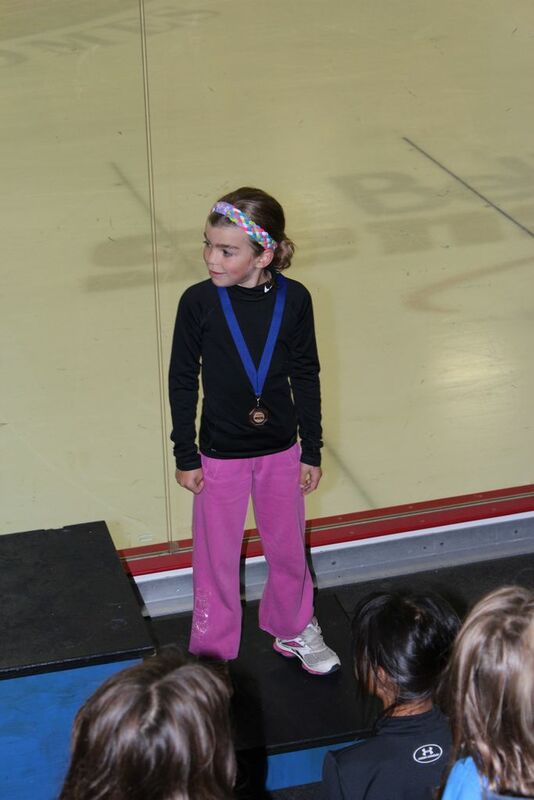 Registration forms are due to Heather by Tue Oct 23rd. 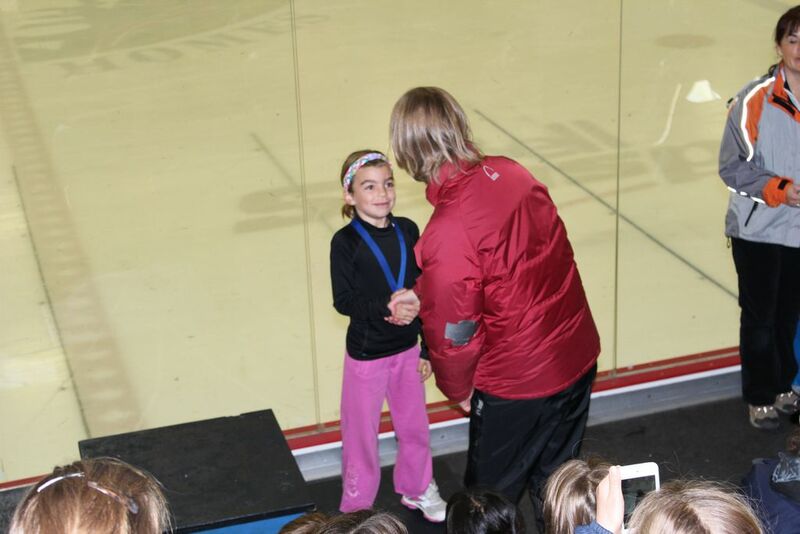 More information on the Regional Series can be found here. 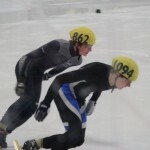 Give speed skating a try! 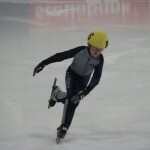 Does your child want to try speed skating? 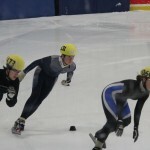 The St. Lawrence Speed Skating Club offers a 4-session trial program to new skaters at any time throughout the season. 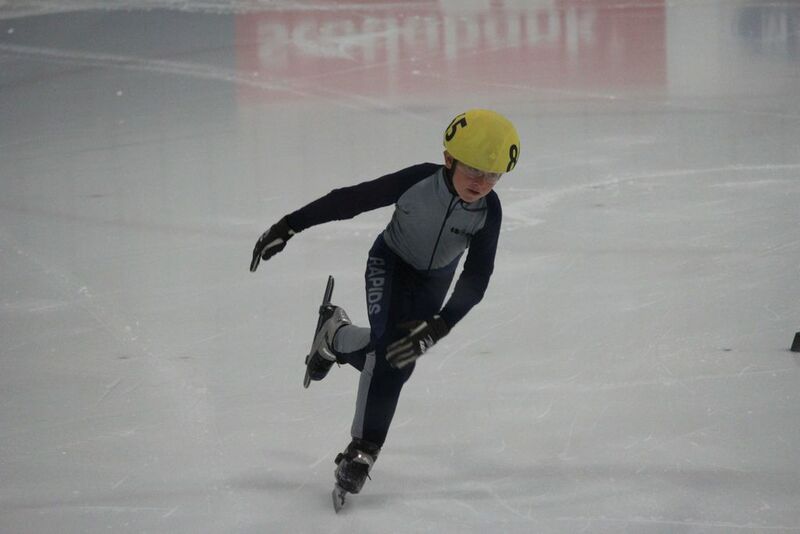 For $75, your child can rent club speed skates and participate in 4 consecutive speed skating sessions. 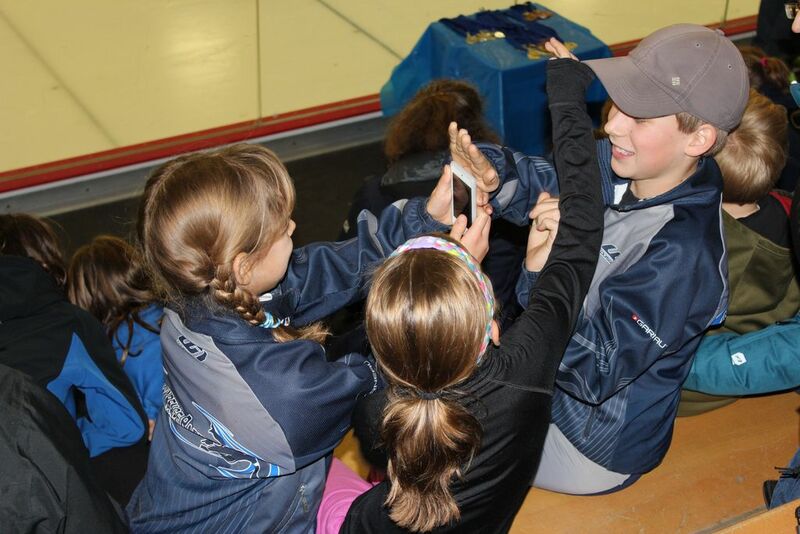 If your child enjoys the sessions and would like to continue with the club for the season, the $75 trial fee is deducted from the full membership fee. 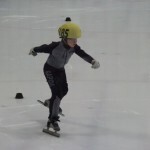 It’s a great way to see if your child likes speed skating before committing to the full season. Practices are Tuesday 6-7pm and Sunday 6:30-8:45pm. 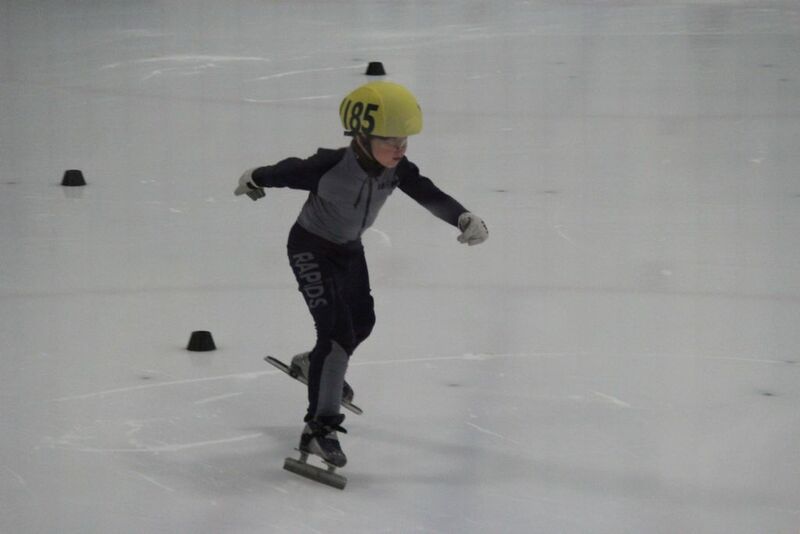 Email info@stlawrencespeedskatingclub.org for more information. 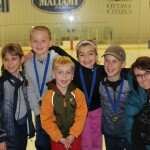 A number of skaters participated in the two day regional meet in Ottawa this past weekend. 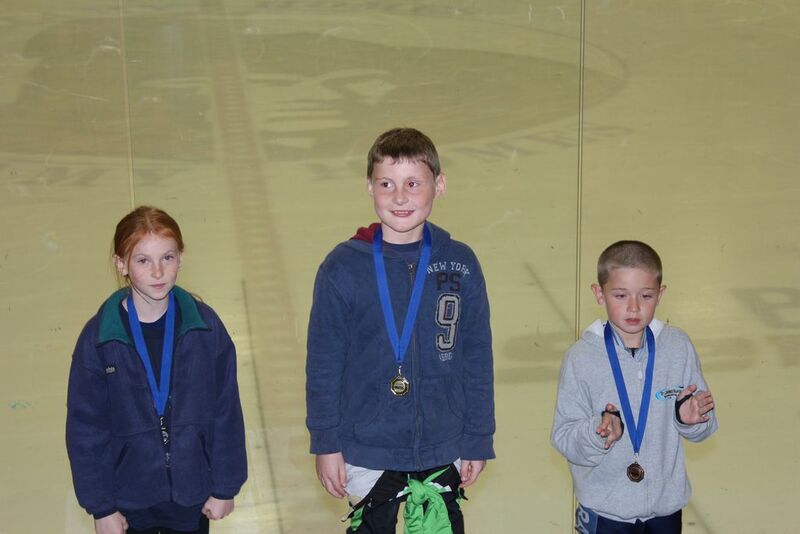 Here are some pictures from the awards ceremony at the meet. 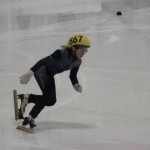 Results are available on the Ontario Speedskating website. 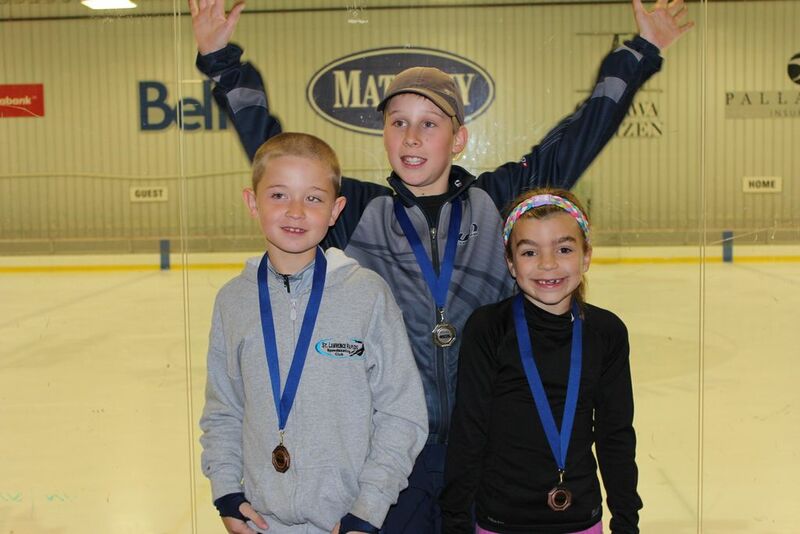 Congratulations to Nolan for winning a Silver medal, Cameron for winning a Bronze medal, and Paige for winning a Bronze medal. 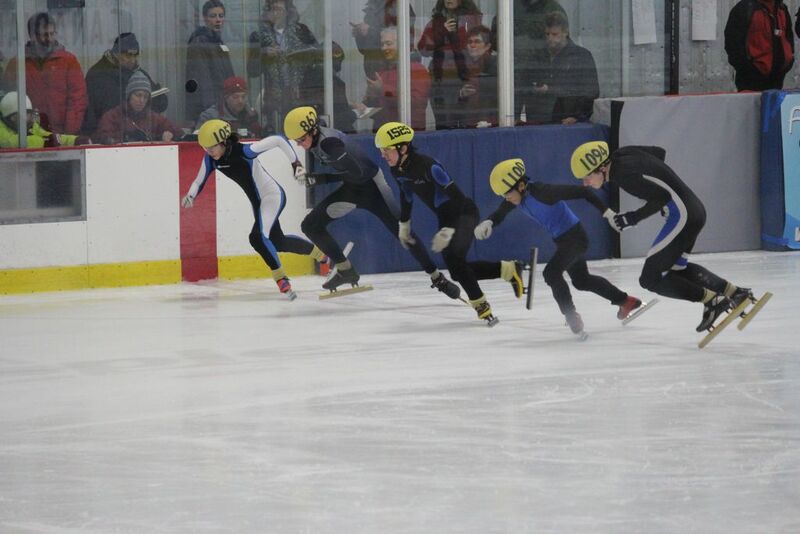 Here are some pictures from the meet. Results will be posted once they are available. 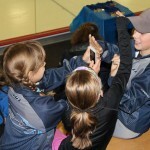 This Tuesday October 16th there is a change in the schedule due to a Brockville Braves game. The second hour (6:55 to 7:50) has been canceled. The Youth 2 group is invited to join the Youth 1 group from 6:00 to 6:55. 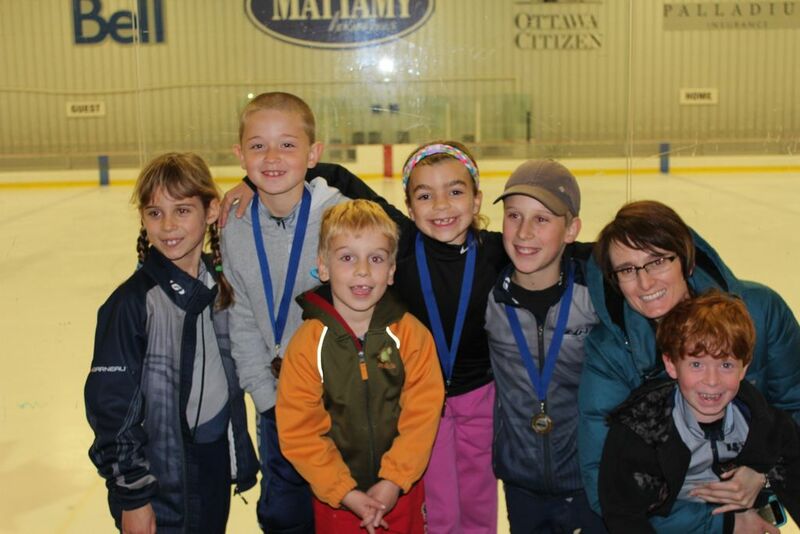 The Comp group is invited to skate Tuesday morning from 6:30 to 7:30 AM if they want to.